Our Indoor Performance Studio is open year-round, by appointment, for club fittings and golf lessons. Please drop by the Golf Shop or contact one of our Canadian PGA golf professionals for more information. Tuesdays, Thursdays, Fridays, Saturdays, Sundays until 6PM and Wednesdays until 7PM. What: FlightScope is a 3D Doppler tracking radar for Golf and other sports. It accurately measures the launch and flight of balls and clubs and provides quantitative data about player and equipment performance. Why: One word - Accuracy. In a nutshell, FlightScope measures ball speed, position and direction continuously along the ball’s flight path. It measures what the ball is actually doing, and is much more accurate than camera or light beam methods which take only single launch data points and estimate what the ball will do. How does the 3D Doppler Tracking Radar work? Looking for more information? 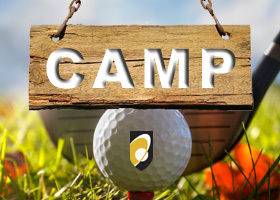 Visit the FlightScope website.